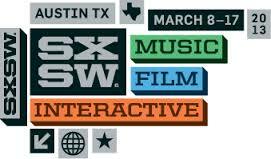 I was incredibly grateful for the opportunity to attend the South by Southwest festival in Austin, Texas this year. It’s been on my bucket list for quite some time, and it’s basically Heaven for fans of tech, music, and film. SXSW is much more of a festival than a conference; no one’s walking around in stuffy suits and ties. While there’s certainly a structure, the greatest value, in my opinion, comes from the conversations that happen between panels and during the parties. Networking opportunities are everywhere, and I was amazed at how willing people were to share their stories and advice. A few key takeaways: (1) Talk to people. If you’re waiting in line for a session, hanging out at a party, or just spot someone you know from Twitter (trust me, it’s not that creepy here), just say hi. I promise you won’t regret it. (2) Accept the fact that you’ll be running on little sleep. You can sleep when you get home; go to that early panel or stay a bit later at that party. Essentially, YOLO. (3) See as much of Austin as you can. It’s an incredible city that’s quite an up-and-comer in the tech, music, and film worlds. It’s worth it to take some time to explore the area. Oh, and eat copious amounts of BBQ and Mexican food. 2. Business cards. Get ’em printed ahead of time and keep them on you at all times. Even for parties at night; you never know who you’ll meet. 3. Power strip. This is something I actually forgot to bring, but definitely could have used on multiple occasions. It’s not uncommon to see SXSW-goers huddled around any electric outlet they can find. 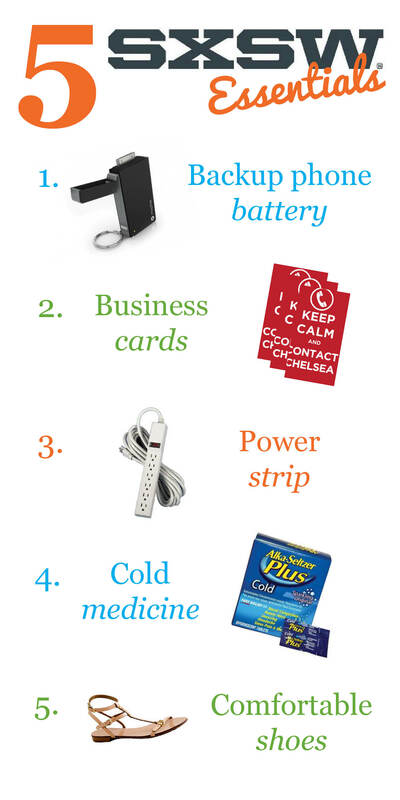 With thousands of people fighting for an outlet, you can be a hero by bringing a power strip and sharing the wealth. Plus, it’s a great way to make friends. 4. Cold medicine. I’d heard tales of the infamous SXSW Plague before I even arrived. By Day 4, I realized how painfully accurate they were. Sure, the gorgeous Texas weather helped to offset the grogginess, but the cold symptoms were tough to ignore by the end of my time at SXSW. I wasn’t surprised. Long days, long nights, minimal sleep, and shaking a lot of hands don’t make for optimal health. Bring some Alka-Seltzer and try to nip the impending cold in the bud. Power through, soldier. 5. Comfortable shoes. SXSW is uber-casual. There is absolutely no reason to put yourself through the agony of wearing heels. I only brought three pairs of shoes: sandals (like the ones pictured), black flats, and Sperrys (which I only wore at the airport) and I was absolutely fine. Make sure the shoes you pack can handle a ton of walking without giving you blisters, especially because you might not have a chance to change shoes during the day before heading out for the night. So those are a few tips. SXSW was one of the most incredible experiences I’ve ever had, and I’m already saving up and making plans to go again next year. If you can swing it, I encourage you to do the same; I promise it’s worth it.